Photobucket Albums, Images, and everything is redesigned now. 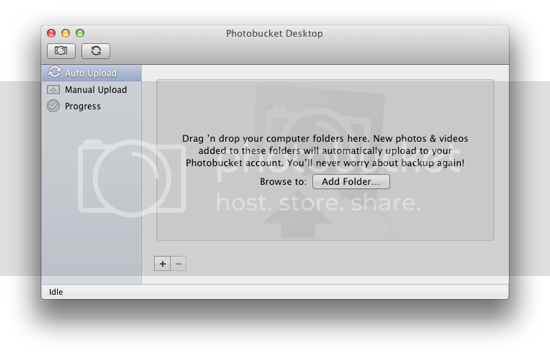 You can Download Photobucket App Free for Mac and manage your albums from Desktop app. I must say the new design in pretty cool and easy to navigate. Photobucket Beta allows you to organize your Photobucket Albums, Images and Pictures is easy way. I am well addicted to Photobucket apart from this blog and Photobucket is one of the most opened site on my Mac. I use Photobucket App to upload my Personal as well as Public Images, including Quick Image Uploads and Screenshots. All the Images on DesignSkew are hosted on Photobucket, and I found it a great website. 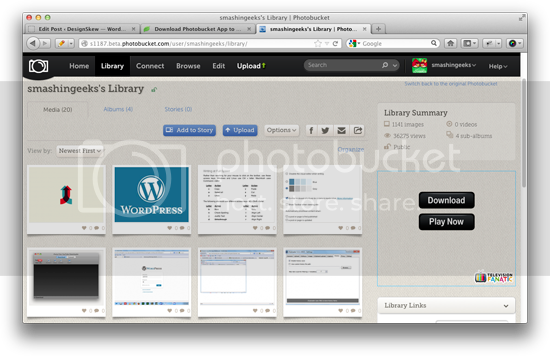 From the research I have already done, there is no better site for Photo and Image Hosting better than Photobucket App. First of all, the whole new Design which makes it easy and quick to navigate through the albums and photos. You can now upload Photos from various sources, from your Smartphone, Browser, or even Facebook. Now, you don’t have to click and wait to load next pages, as and when you scroll to the bottom, more images loads automatically. You can now see the stats and also the overall stats of your account, including Space Consumption, number of images, photos, albums and the number views of your albums. I don’t upload videos, just Photos or Images in different Albums. I also used Snapbucket for Android, and it also works well if you want to upload or control your Photobucket Albums from your Phone. Now you can edit your photos and images right from your Photobucket Account, Crop them or add effects on them right from the Photobucket site. This is the most requested feature from Photobucket. 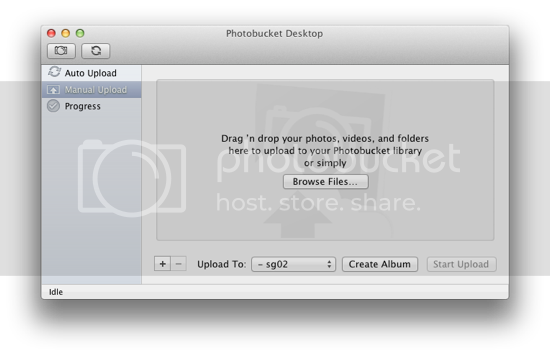 With Photobucket Beta, the official Photobucket App for Mac is also released which hels you upload all your pictures and photos right from your Mac Finder. Now, you don’t need to open up your Browser, type Photobucket, login and then upload. What you just need is this Official Photobucket App and you are done. Login in the app once and it will remember your credentials from the next time. Now, just drag and drop your Photos in the App and it will automatically upload on your Account with super fast speed. Can I use photobucket app on my Android or iOS device. please tell me.